There’s a chill in the air and the Winter Solstice is only weeks away, which means it’s time to cozy up for some wintertime reading. 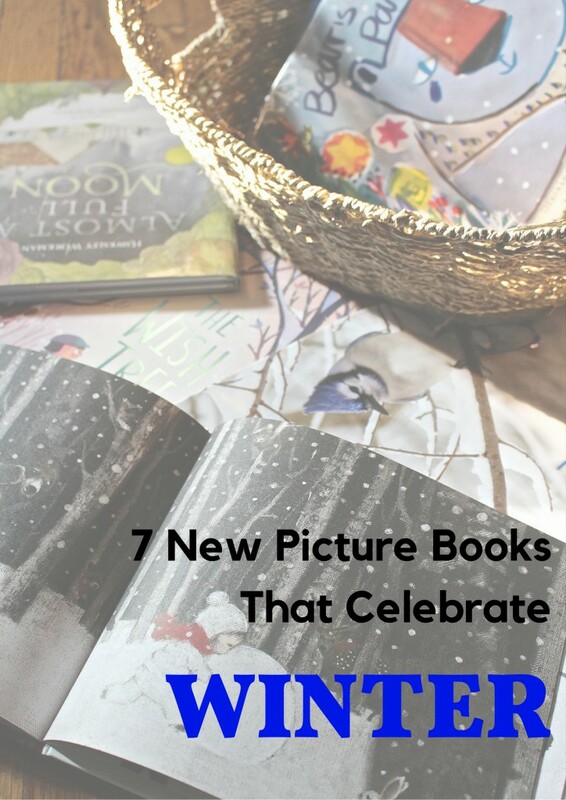 Last year I compiled this massive winter booklist sorted by theme, and with so many wonderful new winter-y picture books released this year, I’ve assembled a booklist of new favorites winter stories from the 2016 year to add. “Shhhh, listen… do you hear something? Pit, pit, pit against the window. 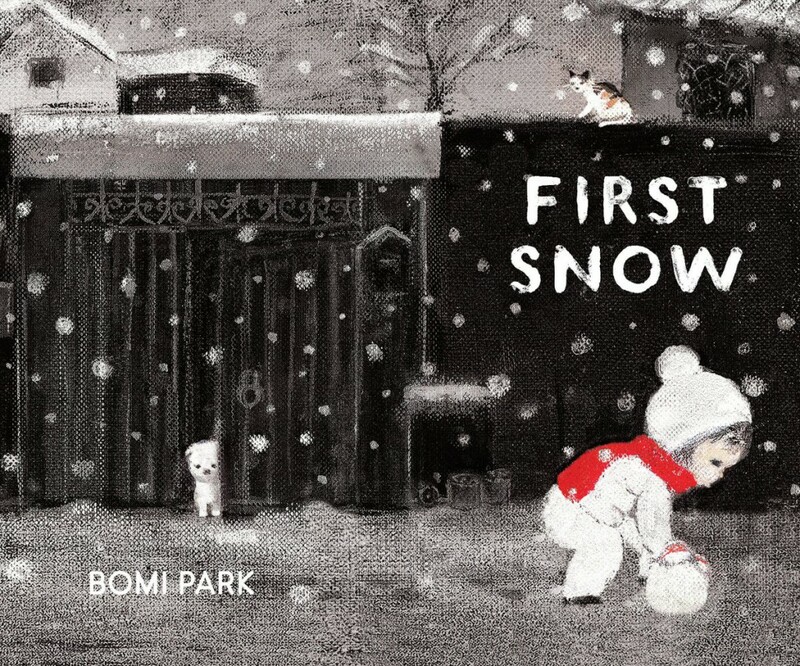 Glistening, floating in the night.” Quiet and full of magic, First Snow captures the season’s first snowfall through a child’s eye’s with such gentle beauty and heart that this will surely be a treasured wintertime story for years to come. Bear loves his forest home, but his imposing appearance deters friendships with other woodland creatures. In order to combat his loneliness, Bear decides to host an event for the woodland animals. Even though they’re frightened at first, Bear’s welcoming hospitality soothes their fears and all have a heartwarming, merry evening at his winter soiree. 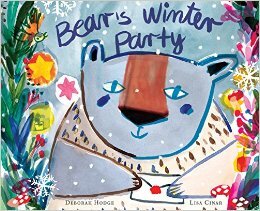 I have a feeling bear’s story whimsically illustrated story will inspire many young readers to host sweet winter parties of their own. 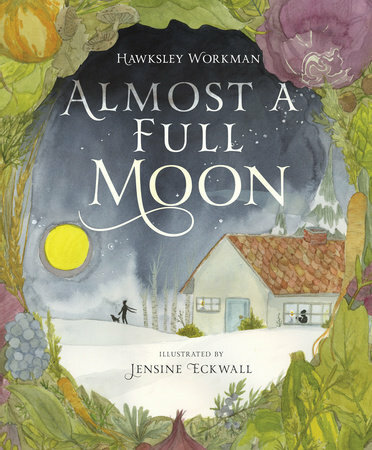 First written as a song, Almost a Full Moon celebrates all the things about wintertime that makes it so enchanting: Snow, stories, candles, music, laughter, family, friends, and a meal shared under an almost full moon. What happens on a farm during the winter? 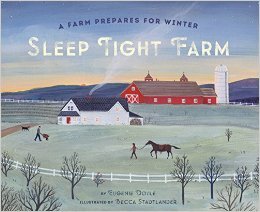 Sleep Tight Farm is a handsome chronicle of one family’s preparations for winter on their farm beginning one early day in December and ending on the night of the Winter Solstice. April Pulley Sayre has a new book! And it’s about SNOW! Naturalist author of the popular picture books Raindrop Roll and Rah, Rah, Radishes! 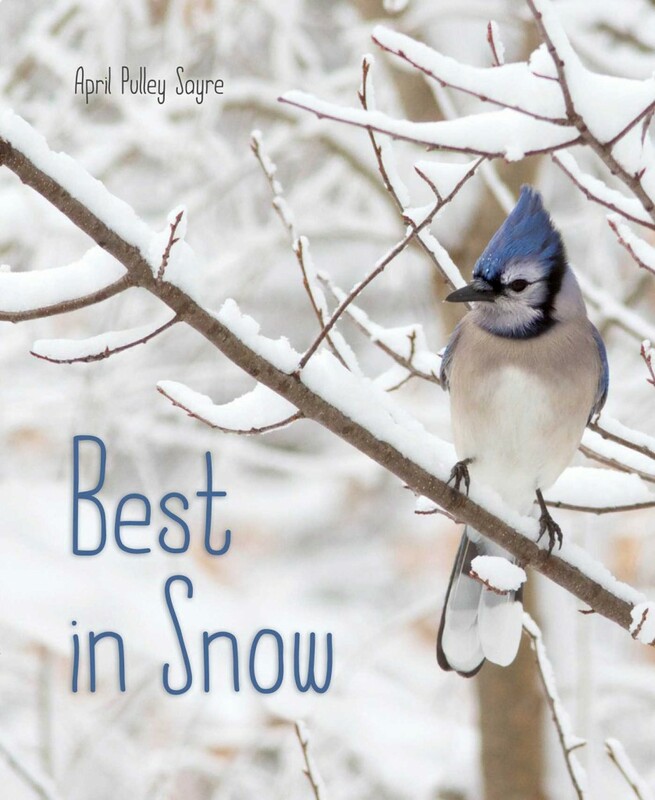 takes readers on a poetic, photographic journey of snow in all it’s watery forms, inspiring even the littlest readers to look closely at the secrets of snow. 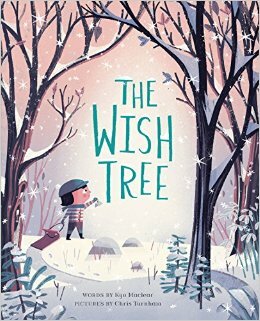 Is there such thing as a wish tree? Charles and his trusty toboggan, Boggan, set out through a winter wonderland to find out. In the process, they help forest friends along the way and at last encounter an unexpected surprise. Cynthia Rylant. Christian Robinson. 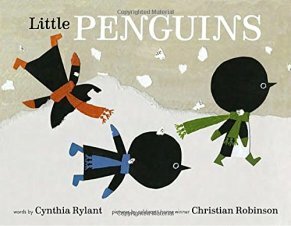 Two beloved kidlit rockstars, one book, and adorable penguins. Need I say more? What is your favorite new or tried-and-true wintertime read? Ahhh autumn. It’s the time of the year when the world is ablaze in rich colors of crimsons, golds, bronze, and brown. The trees in our neck of the wood turned late this year starting in October and continuing well into the end of November. 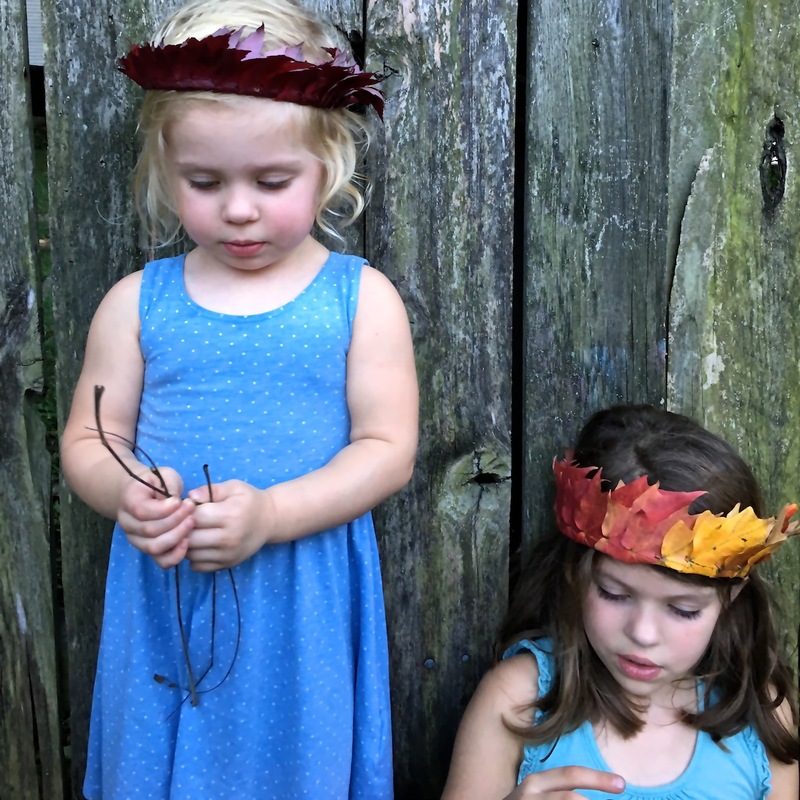 After posting this picture of Lorelei wearing a leaf crown there were a few folks curious who wanted to make some of their own and I had promised to put together a little tutorial. 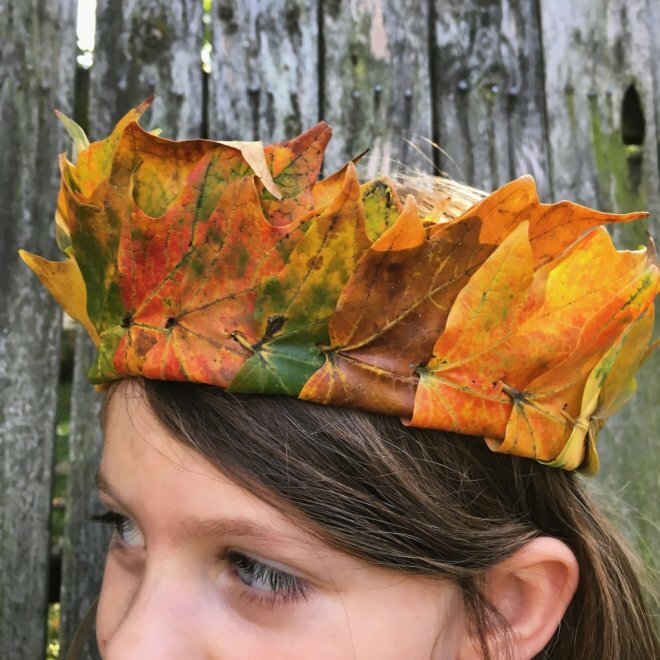 Well, that time has come for ALL THE LEAF CROWNS! 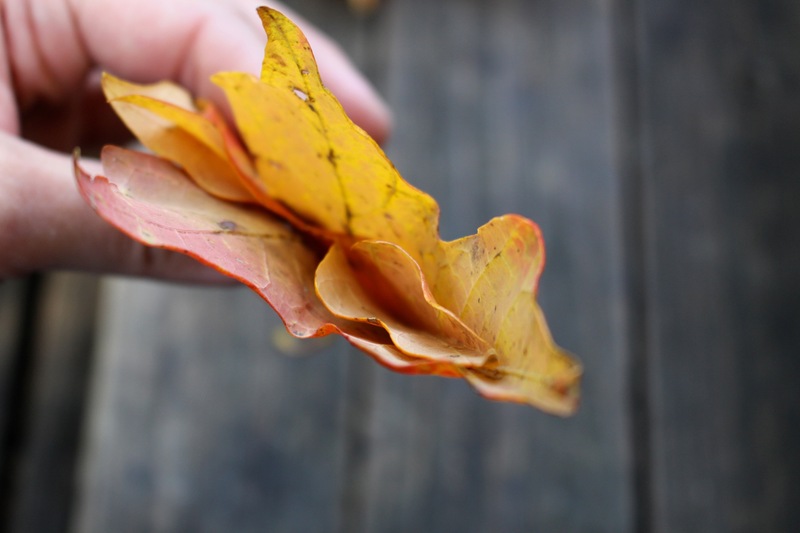 Originally, I learned how to make these in Linnea’s Almanac, a book about seasonal observations. The setting is in England, but a great deal of the references are applicable throughout the northern hemisphere. This activity is a modification of the one outlined in the book. 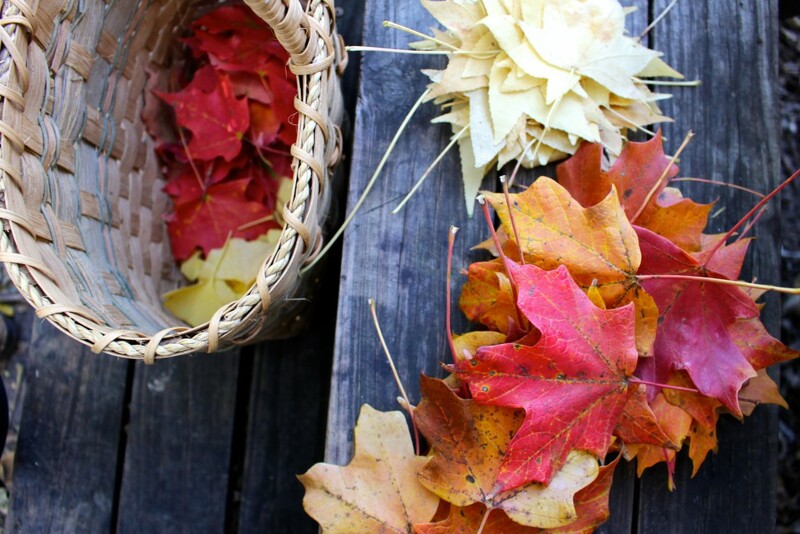 Next time you’re outside on a fall day, grab a basket or fill your pockets with leaves of every shade for this simple activity to transform the season’s bounty into a coronet for autumn royalty. 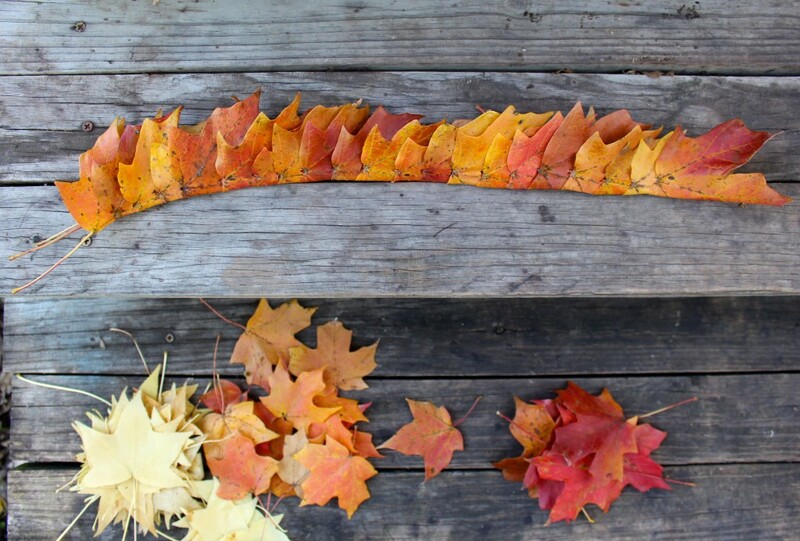 Step 1: Collect freshly fallen leaves. Dry leaves will crumble, but fresh leaves will be more malleable and will be the easiest to work with for this activity. 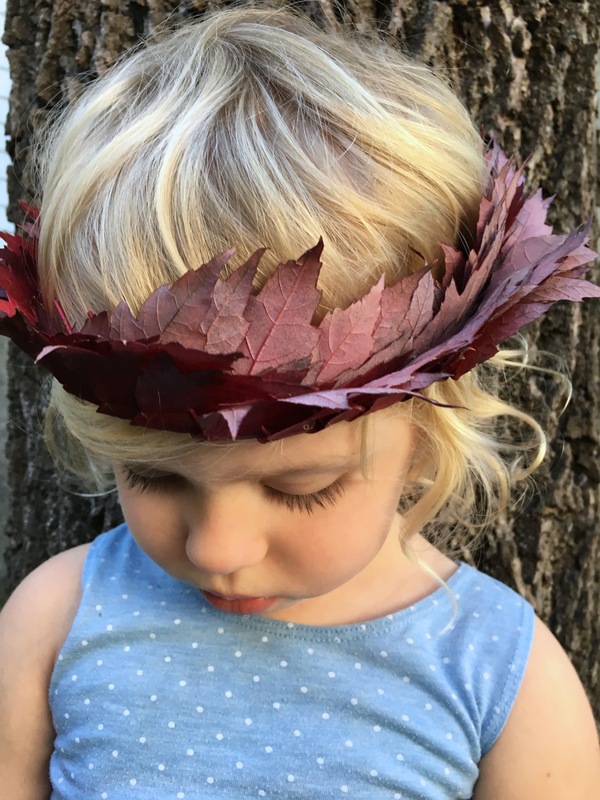 I find that maple leaf varieties (sweet gum and gingko leaves) work the best. 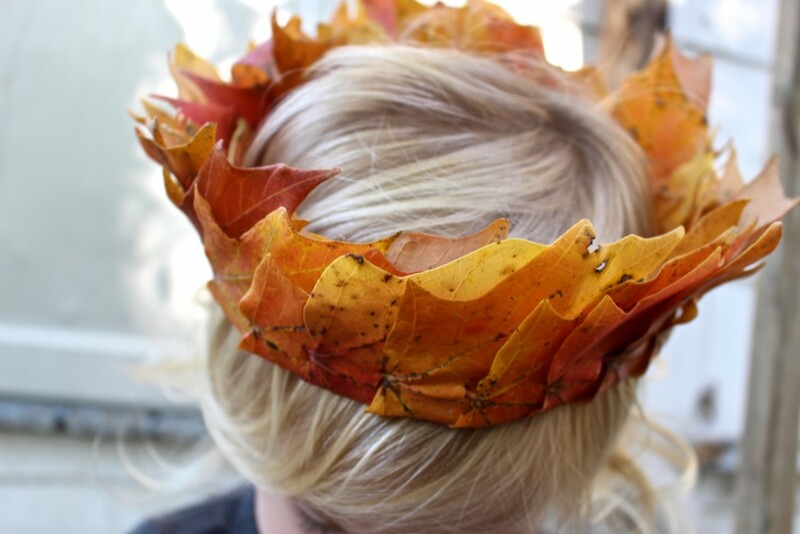 You’ll need 15-20 leaves depending on the size of the crown wearer’s head. You might need a pair of scissors too, so grab a pair if you have some handy. Step 2: To start, gently fold the leaf in half along the leaf’s midrib. 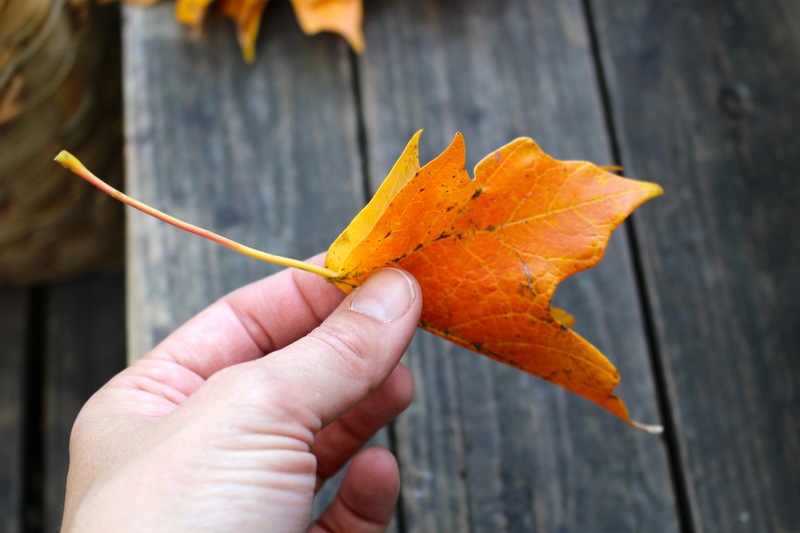 The with your fingernail or a pair of scissors (optional) make a small slit that goes through both sides of the leaf, above the midrib. 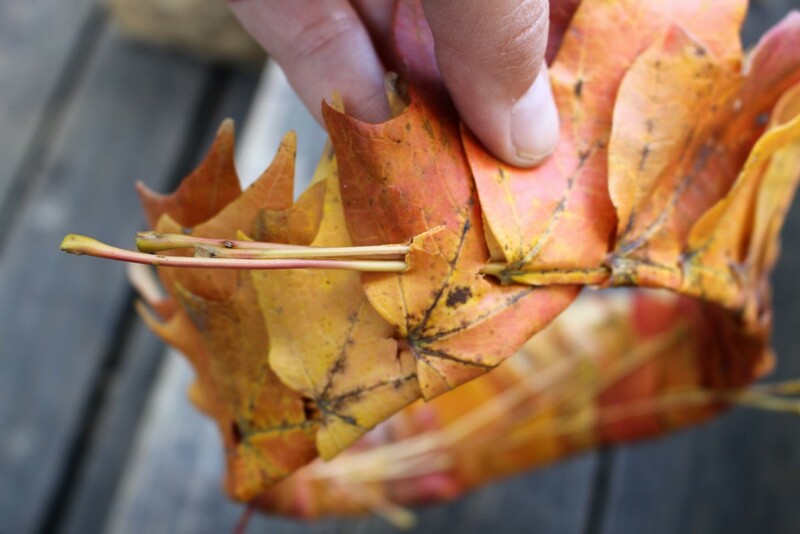 Step 3: Taking another folded leaf, insert the stem into the slit you just mad and pull it through. 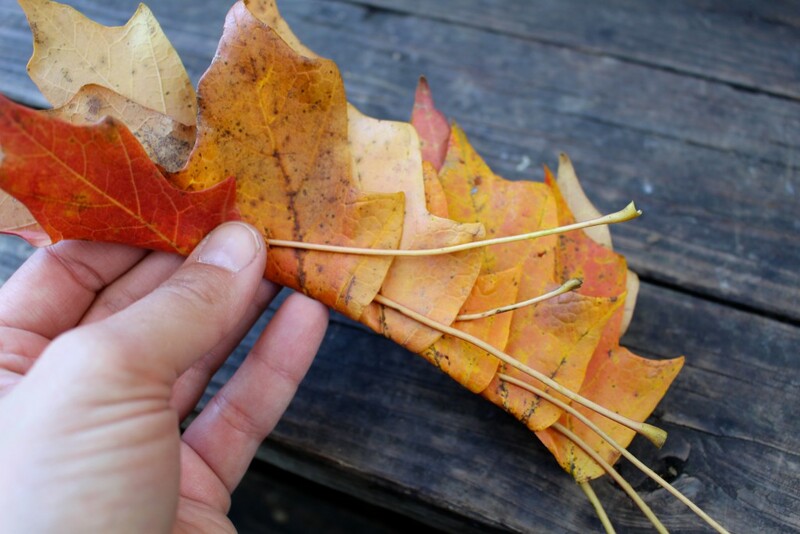 This leaf should be folded around the leaf with the slit. Step 4: Continue the above process. Fold a leaf, make a slip, pull another folded leaf’s stem through that slit. 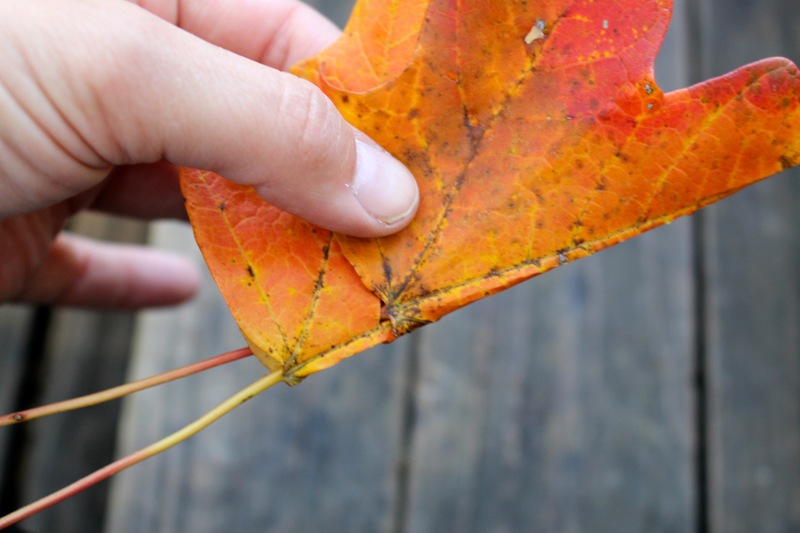 At times I did use scissors to make a slit in the leaves because they were too thick for me to puncture with my finger. This is what the back of the crown should look like. Don’t worry about the stems. If they’re super long, you can trim them once you’ve finished. Step: 5: Eventually, you’ll have a lovely chain of leaves. Measure your chain around the crown wearer’s head to fit to size. Step 6: Once you’re at a length you prefer, make two small slits in the first leaf of the chain. Slide the stems of the last few leaves of the crown chain through this slit. 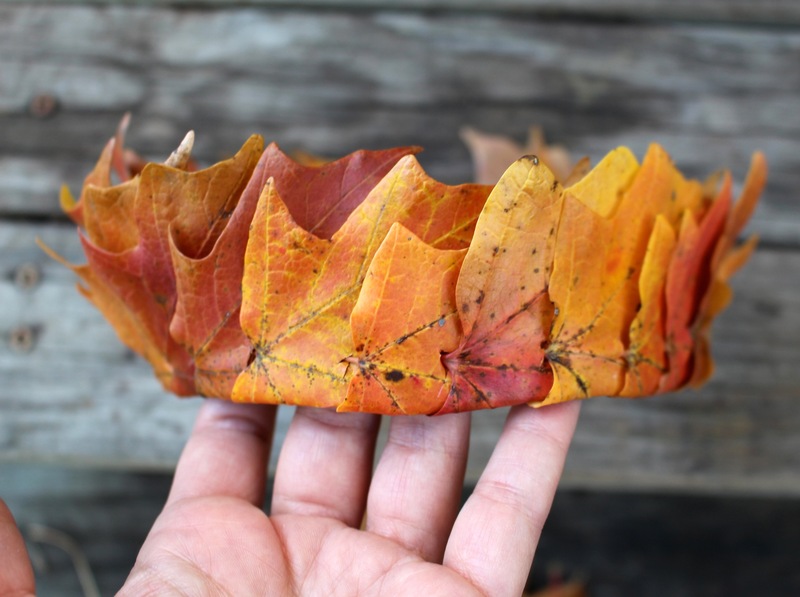 You’re autumnal crown for falltime fae is complete! 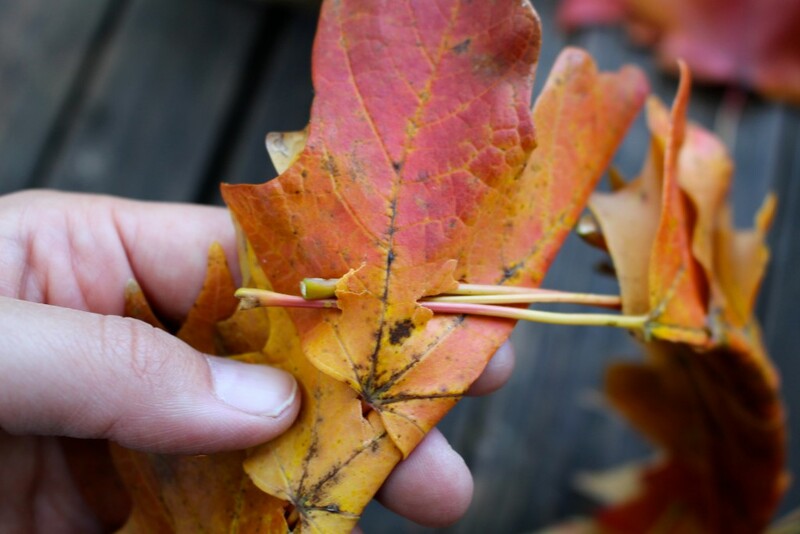 Trim stems of leaves if needed, but don’t cut them too short. Keep them at least an inch long so that the crown holds together. Thanksgiving is a great time for sharing stories. For many, Thanksgiving is a time to reflect on the things we are grateful for and also how we can be generous to and mindful of those around us. 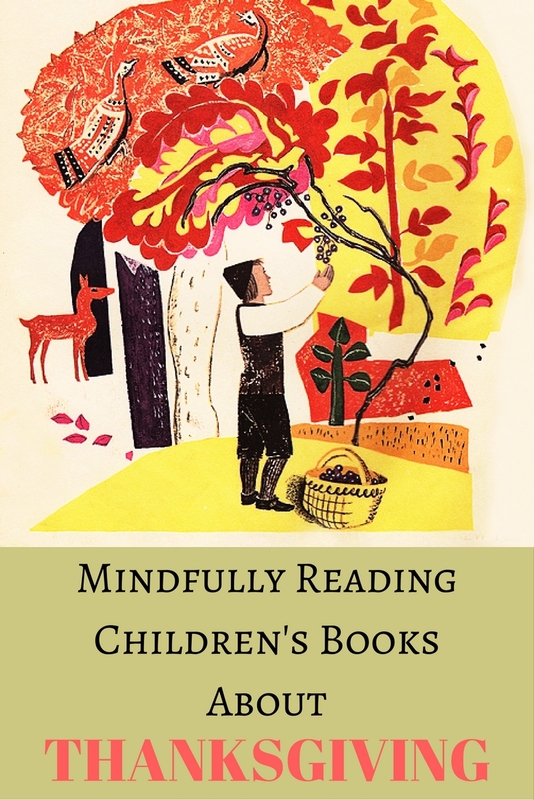 I wrote a post about how to mindfully read books about Thanksgiving with kids— This booklist is an extension of that post. 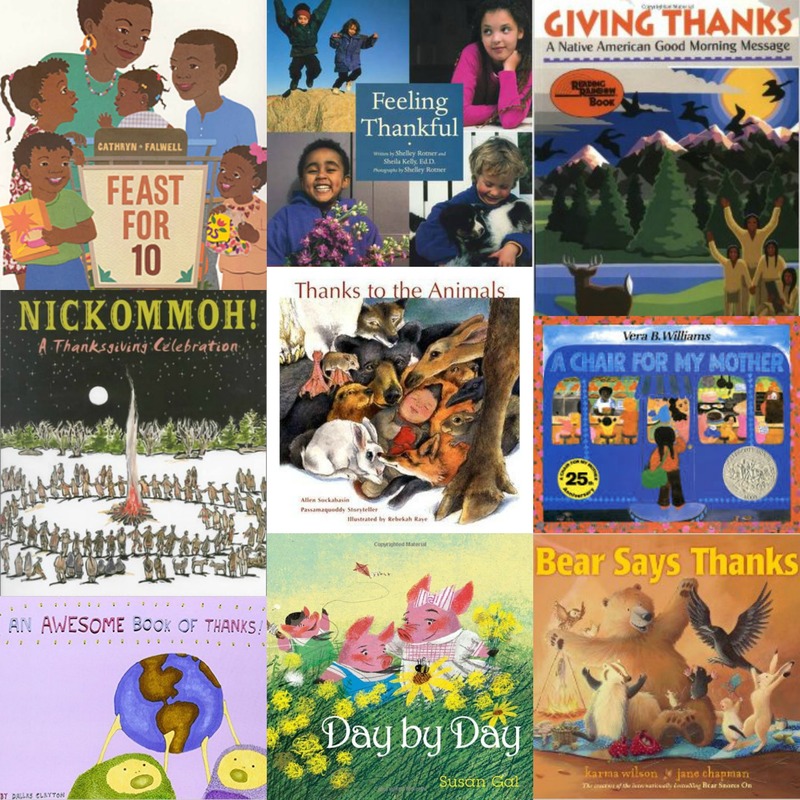 For this holiday I like to select picture books that focus on gratitude and selflessness, but also stories that celebrate the holiday without reference to the First Thanksgiving, as many are historically inaccurate and misleading. 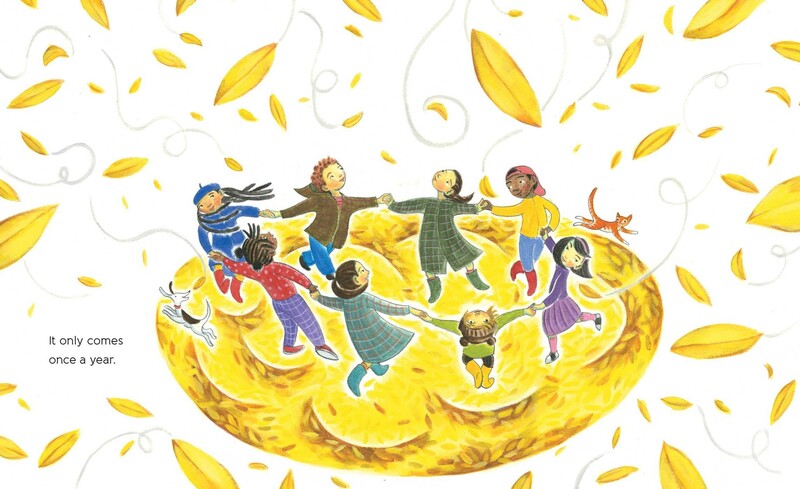 Thanksgiving is this week, which means many homes, libraries, and schools will celebrate the holiday season by reading stories about Thanksgiving. Unfortunately, many children’s books about Thanksgiving and the First Thanksgiving are riddled in inaccurate, incomplete information and stereotypes. It is true that the Pilgrims held a celebratory feast after their first successful harvest that was attended by Wampanoag people in 1621, a peace that lasted lasted for a generation at most. For many across the nation this American holiday is a time of gathering for friends and family, but it is also acknowledged as a National Day of Mourning. I want to be clear that I myself am learning how to mindfully read books that highlight American Indians. In the past, I’ve made the mistake of recommending Thanksgiving books with insensitive stereotypes. I’m grateful for my experience as a children’s librarian and now as a homeschooling parent, roles that have enlightened my previous ignorance. 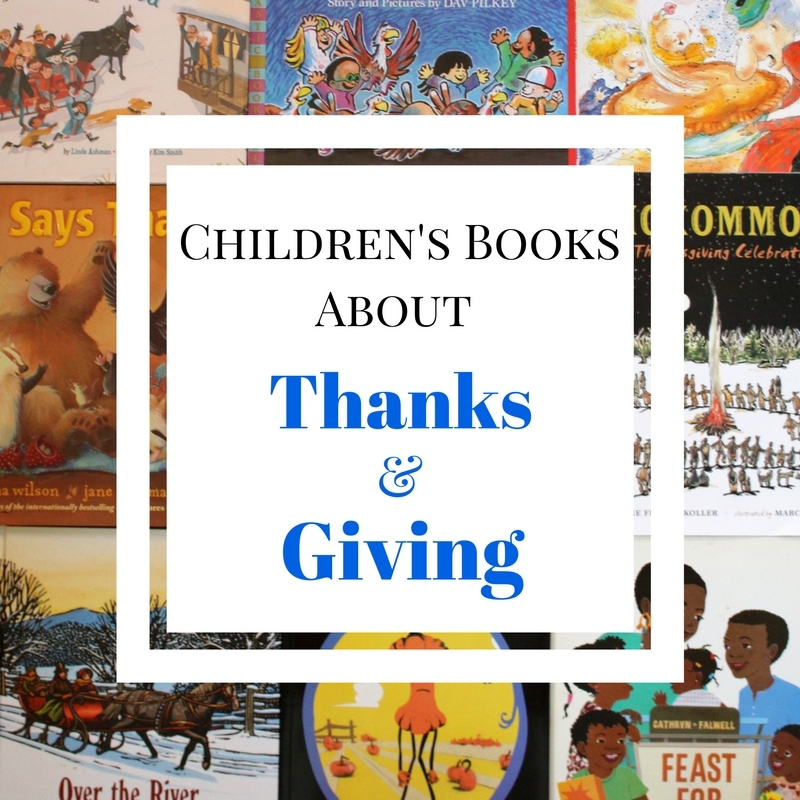 As we grow to be a more accepting and consciously aware society, it’s important to challenge our own perspectives about Thanksgiving and critically look at books we use to teach our children about this American holiday. 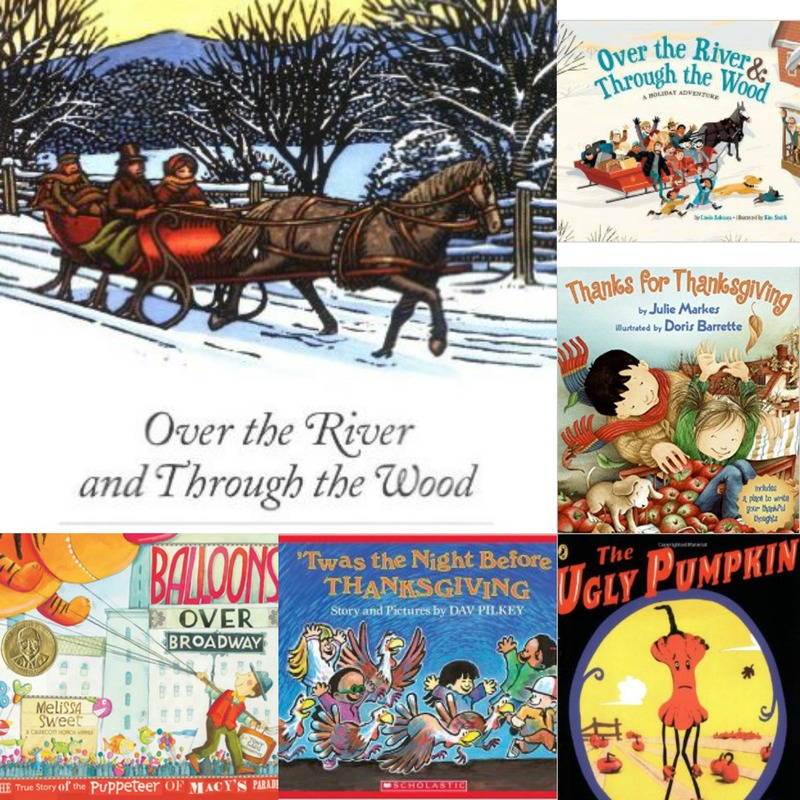 That said, here are a few suggestions for how to mindfully read books about Thanksgiving with kids. Read about the American Indian perspectives on Thanksgiving, what really happened at the First Thanksgiving, and common myths. If you’re a teacher, parent, or caregiver, learn about how you can talk about this holiday with children. 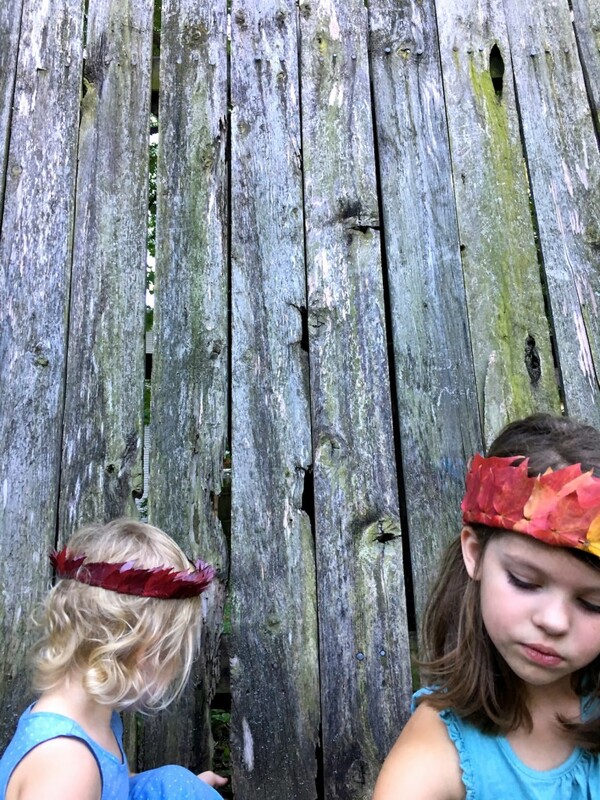 Looking for accurate books about the First Thanksgiving? Please checkout Debbie Reese’s blog posts Looking for Books About Thanksgiving? and Good Books About Thanksgiving. Also, check out Oyate’s Recommended Books about Thansgiving and books to avoid. I refer to the American Indians in Children’s Literature website anytime I question a book and how it depicts American Indians. It’s a valuable resource and I highly recommend utilizing it if you have any questions or are unsure about a specific children’s book. Make it a point to read books that highlight American Indian characters and/or stories throughout the year, not just in November. Yes, Thanksgiving is in November and Native American Heritage Month is celebrated in November, but don’t let that limit you to only reading books about American Indians during that month. Read books with American Indian characters, books about American Indian history, and actively choose books written by American Indians throughout the entire year. 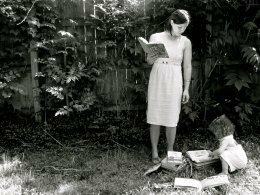 Check out this reading list, and this list, and this list for suggestions. In our home, we choose to focus on celebrating respect and gratitude for the earth, the provider of the food we eat and the water we drink, as well as celebrating loved ones in our lives. We don’t ignore the origins, we discuss it in a way that is appropriate for them to understand, but the traditional story isn’t a part of the how we acknowledge the holiday. There are several wonderfully written books about Thanksgiving that don’t include references to the first Thanksgiving and also books with a general theme of gratitude that would be excellent read-alouds to enjoy this holiday– Here’s a booklist of my favorite children’s books about thanks & giving. The leaves have finally started turning and it is aglow in gold here in Kansas. 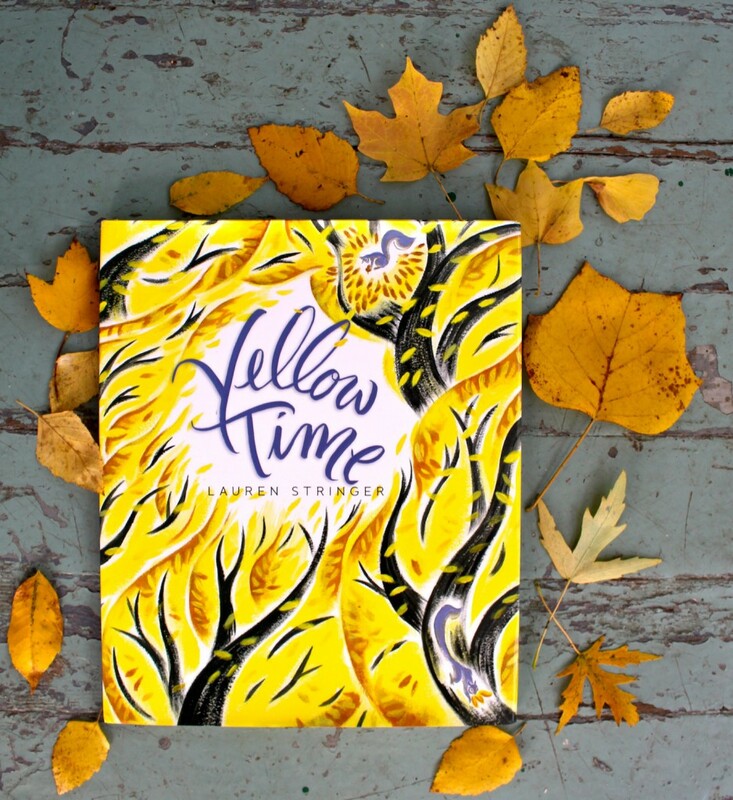 We’ve been reading Lauren Stringer’s new autumnal picture book Yellow Time (public library) on repeat, because like the characters in the story, we’ve been waiting and waiting for this magical time when the world seems to be a vibrant yellow– Now it’s finally here! 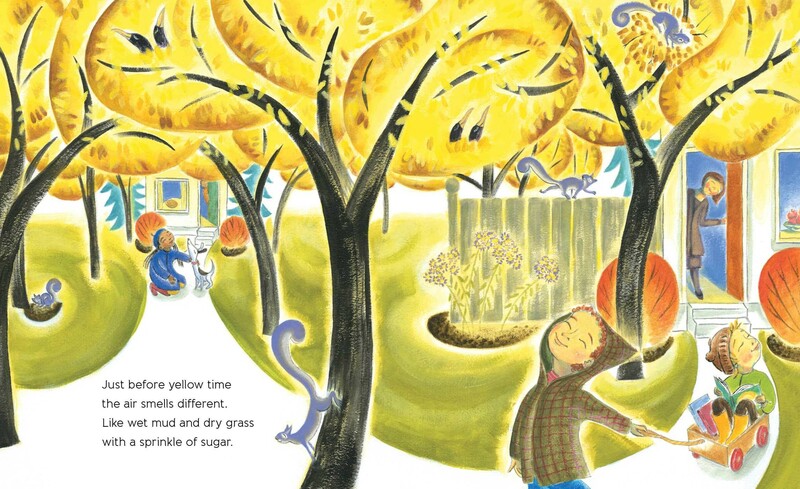 Yellow Time begins with neighborhood children gathering outside to admire the autumn weather. 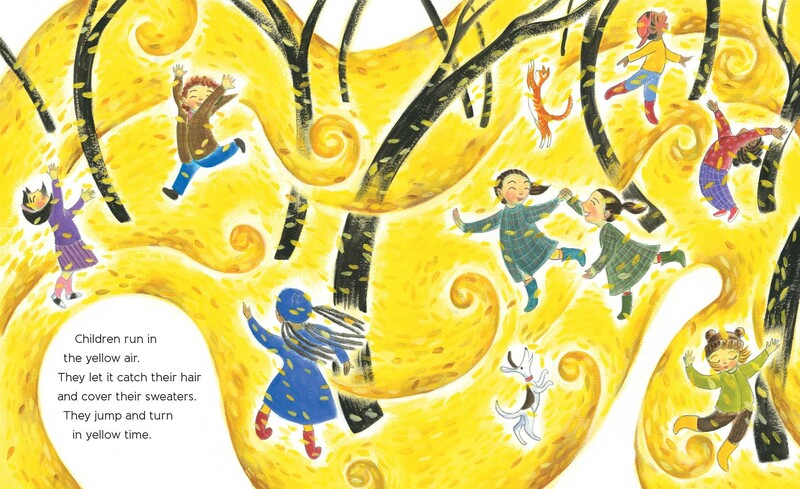 All of a sudden a wind rips through the trees, announcing the moment they’ve all been waiting for– Yellow time! 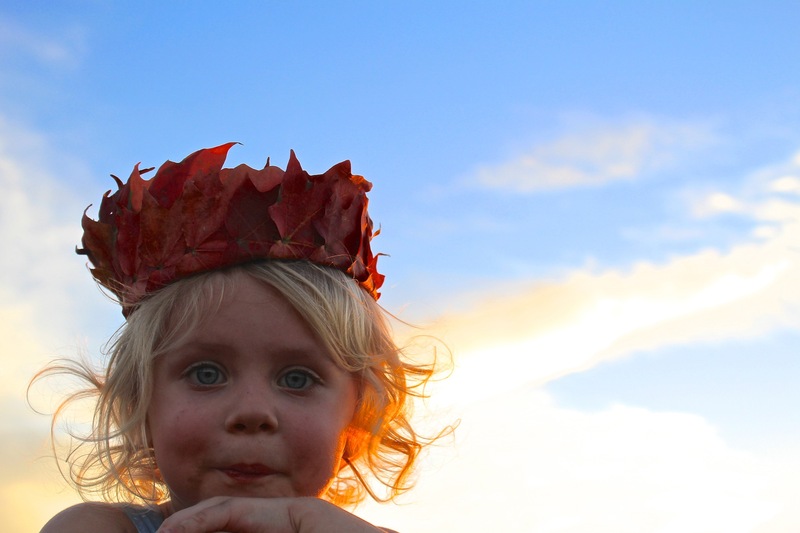 They play, frolic, dance, gather leaves, and make leaf crowns, but like all good things it must come to an end. 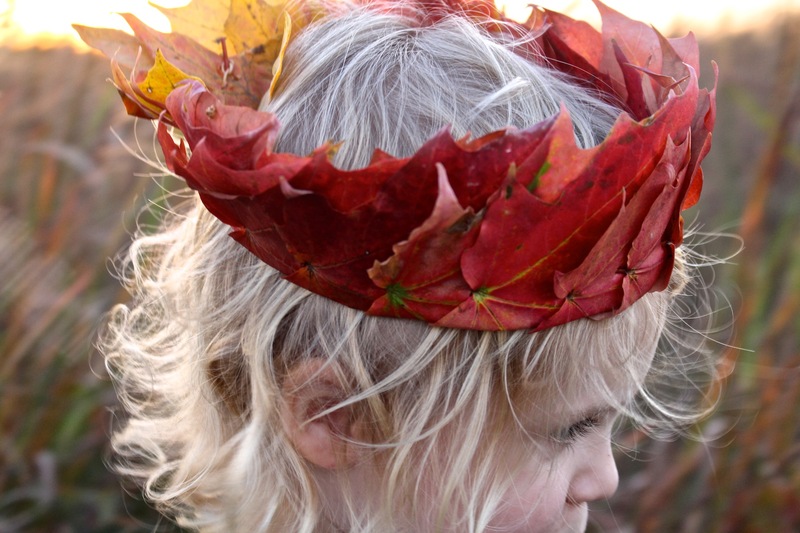 The children appreciate and admire the spell while it lasts and once it’s over, find a way to preserve a bit of this beloved time of year. Melodic text and vibrant illustrations that almost appear to be moving in the vivid contrast between the the dark bark and bright yellow leaves, the children, and the crows. This is a book that will make you want to run and play outside, enjoying all the wonder and opportunity the autumn season holds. Alrighty. So, this is a fairly straight forward activity. 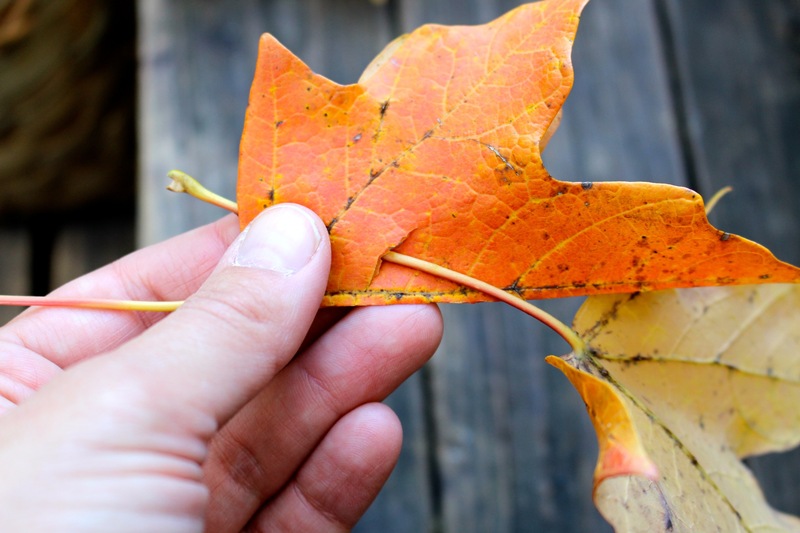 Take a walk outside during a fall day when the leaves have already started to change, taking notice of the various shades of yellow. 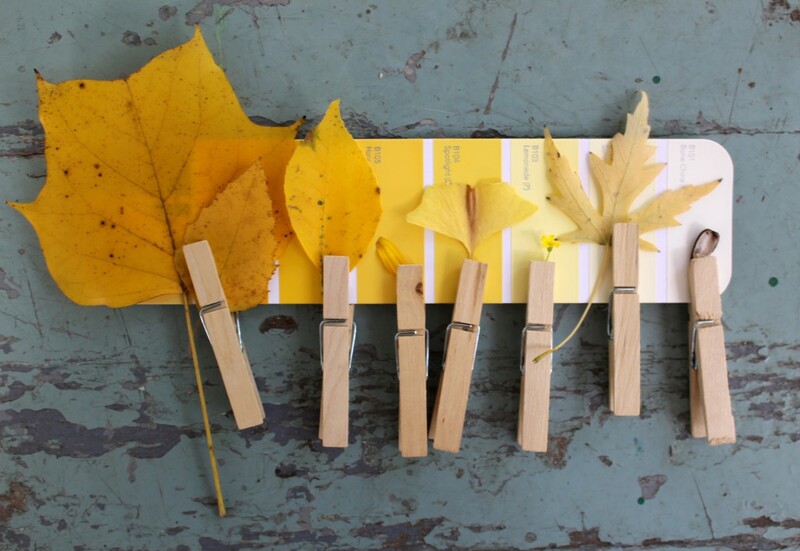 Gather a few yellow nature items in a spectrum of light and dark shades. 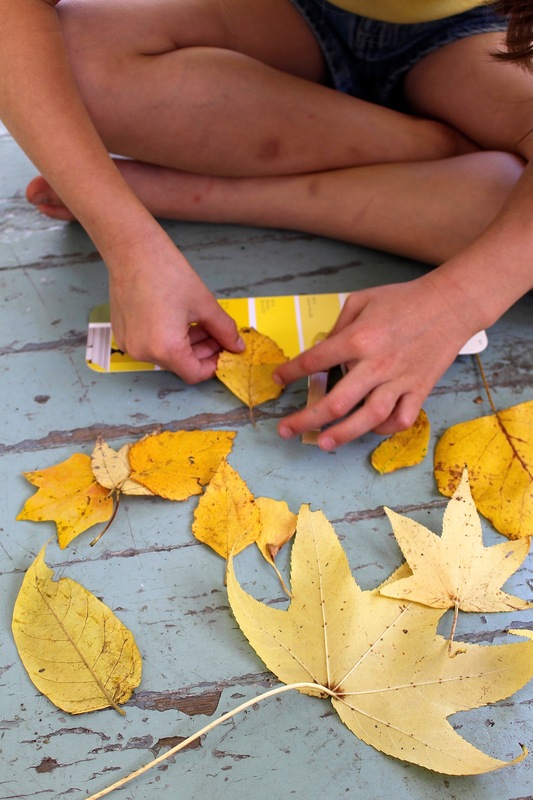 Once you return home, sort and color match the found nature treasures with the yellow paint swatches. We adhered our nature findings with clothes pins onto the paint color swatches, because the wind kept blowing the leaves away. 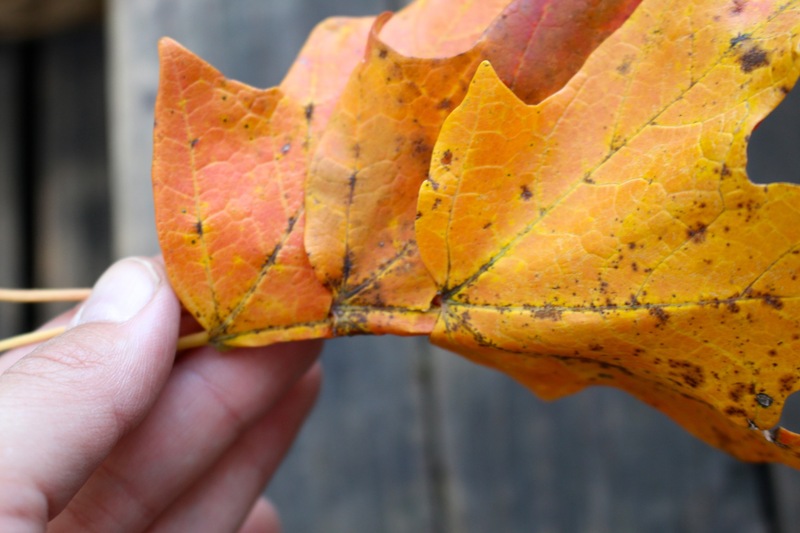 The yellow color seen in fallen leaves is actually a chemical breakdown of chlorophyll, the scientific name for what gives leaves their green color. When the days grow shorter and colder in autumn, photosynthesis stops and the green parts of leaves (chlorophll) breaks down leaving the yellow colors we see before the leaves breaks from the branch entirely. This yellow color is called xanthophyll. 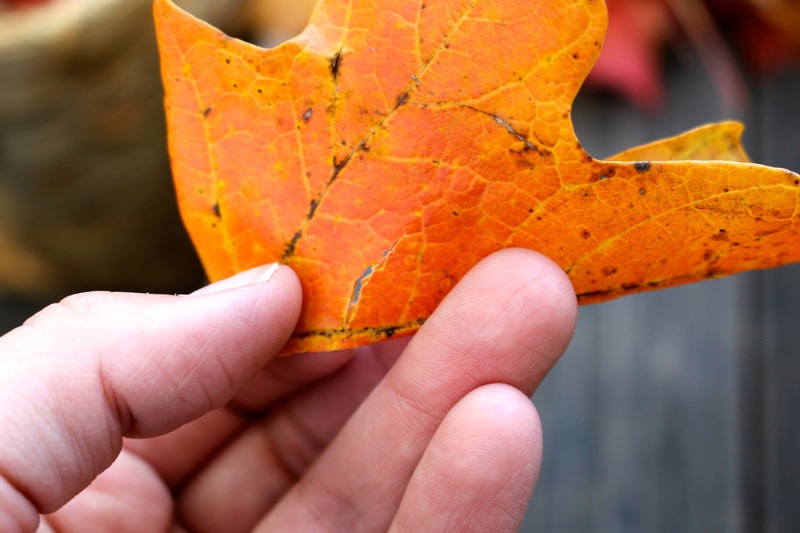 We see remnants of other colors too depending on the type of tree– Orange is carotene, the reds and purples are anthocyanin, and brown is tannin. Eventually, all leaves turn brown. 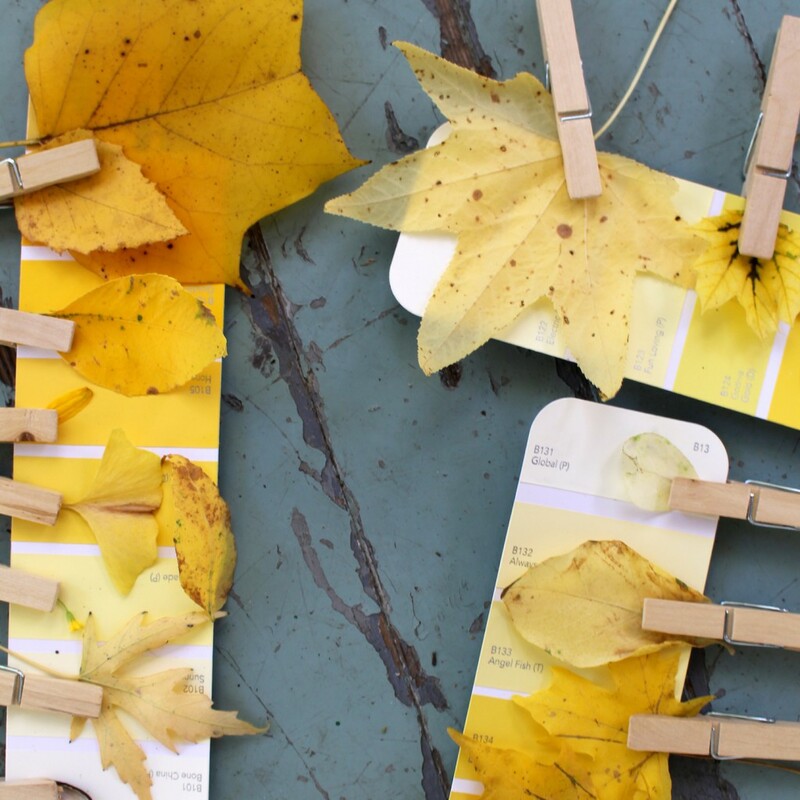 Sorting these shades of yellow is one way to see the range of xanthophyll exhibited in a variety of plants and autumn leaves. 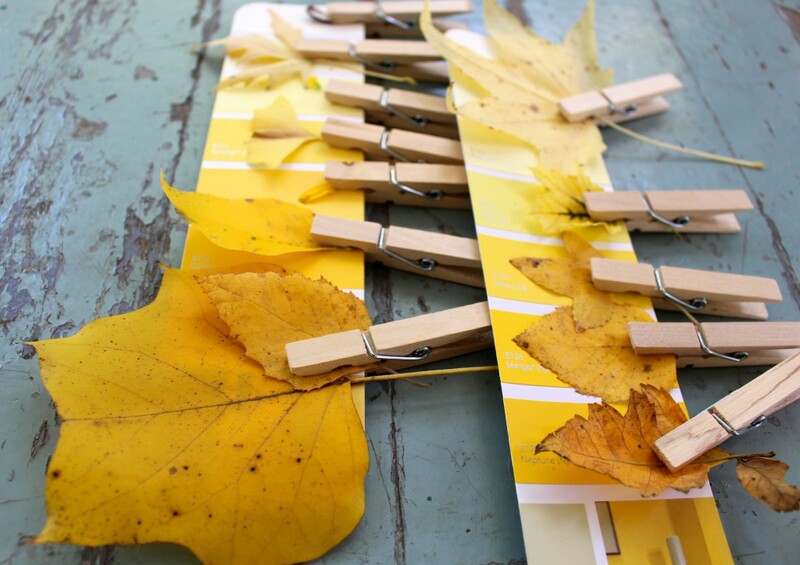 An autumn yellow color hunt is an easy peasy way to delve into the science of the season and a bit of color theory too! 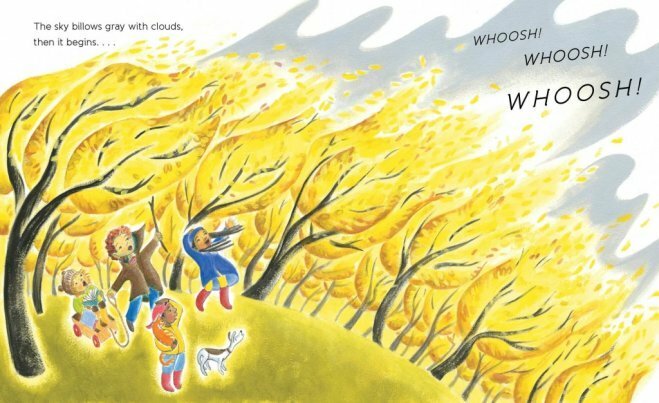 For more autumn reads, check out these 6 new picture books that celebrate the fall as well as this massive booklist organized by theme of favorite fall reads for kids.